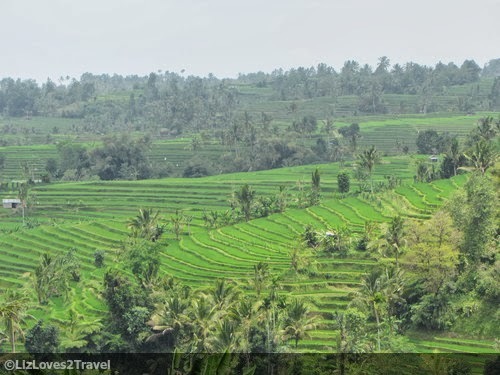 On my last day in Bali, my friend and I agreed to go on a tour together to split the cost. Touring in Bali is a little expensive because of lack of public transportation that will take you from one tourist spot to another. You just have an option to join a group tour, rent a car with a driver or rent a motorbike or a car and drive it yourself. We resorted to Option #2. A local friend of mine helped us arrange our tour transport. We were able to rent a car for IDR 400,000 (USD 35), which includes petrol and the driver for maximum of 12 hours. 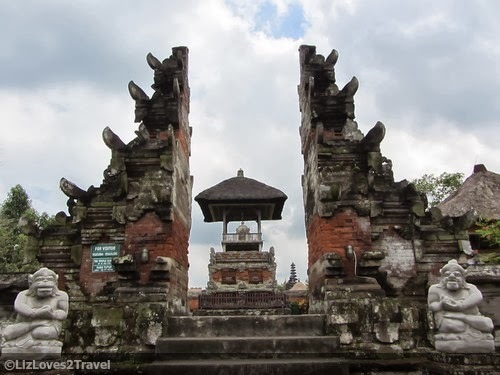 The interesting temples were scattered all over Bali with such great distances. We had no fixed itinerary. We just tried to cover whatever we could within the day. I was once again up to be blown away by Bali. 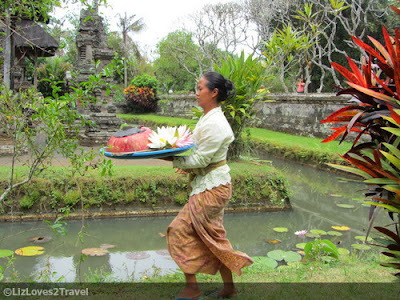 Our first stop is Taman Ayun located in Mengwi Village in Central Bali. 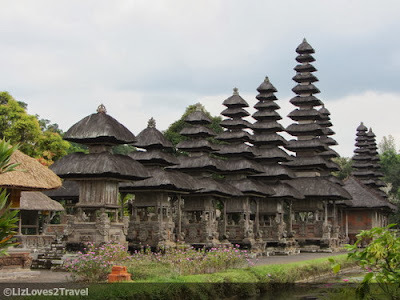 It is considered to be one of the most important temples in Bali. This village has a rich history and previously a residence of the royal family. The temple was built in the middle of the a pond. From a far, the temple looks like floating on the water. 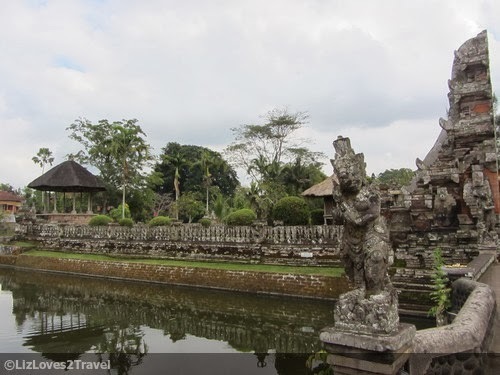 It's name Taman Ayun literally translates to "Beautiful Garden". 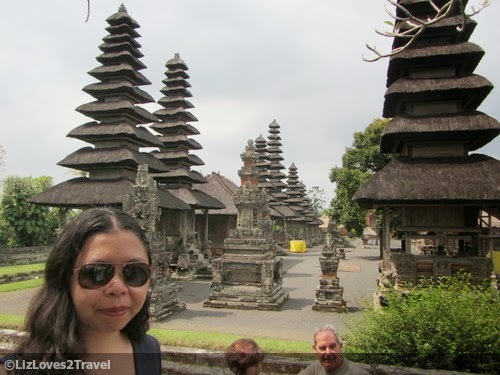 It's construction symbolizes the mythological home of Gods, Mount Meru. They also call the tiered roofs (towers) as "meru". 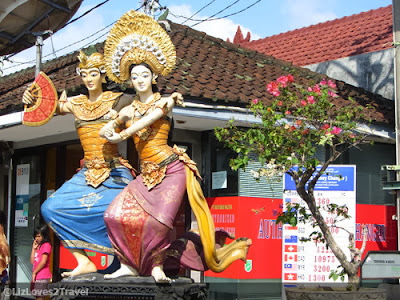 It is a very distinctive feature of Balinese architecture. 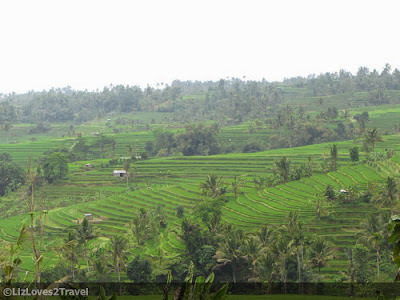 The highest meru has eleven tiers which is said to be dedicated to the Goddess of Rice. The temple is an array of garden terraces with courtyard in every levels. It is a beautiful serene place. I'm not sure if it really doesn't get that many visitors. But I'm glad that when we were there, there were only a few tourists around. We headed next to Bedugul. It is in the mountain range area of Central Bali. It was a long ride from Taman Ayun, passing by narrow steep roads. Road conditions in Bali is not very good by the way. When we got out of the car, we immediately felt the cool breeze. Boy, it was chilly. 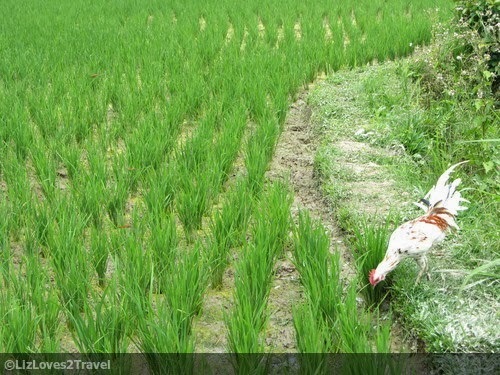 Unlike Taman Ayun, flocks of tourists come here. And there she was, the Ulun Danu Temple. 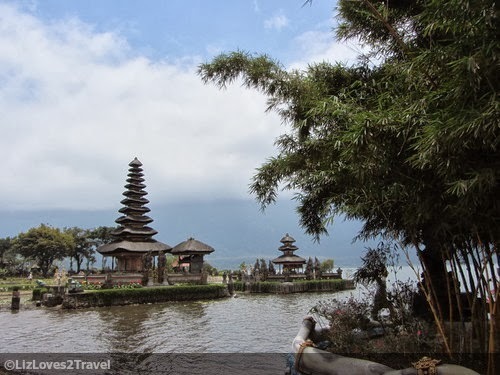 No doubt, it is one of the most photographed temple in Bali. Set at the lakeside of Bratan with hills and the beautiful lake surrounding it, it was dreamy. When we were there, the sun was hiding and the lake was so misty making it look more illusory. 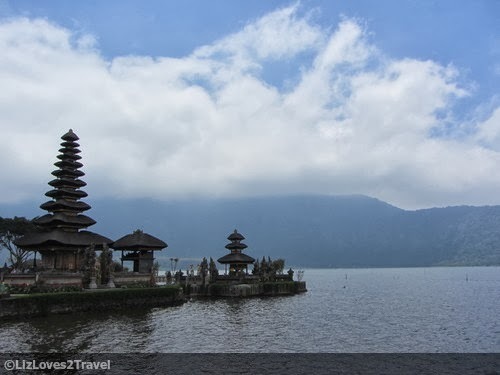 It was named after Lake Bratan and dedicated to the Balinese goddess of water, lake and river. 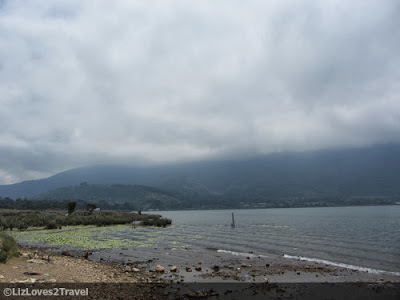 Lake Bratan is also known as the Lake of Holy Mountain. 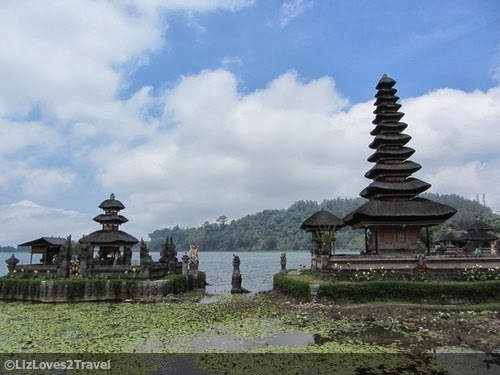 They attribute the fertility of this area to the lake, as it is the main source of irrigation in Central Bali. 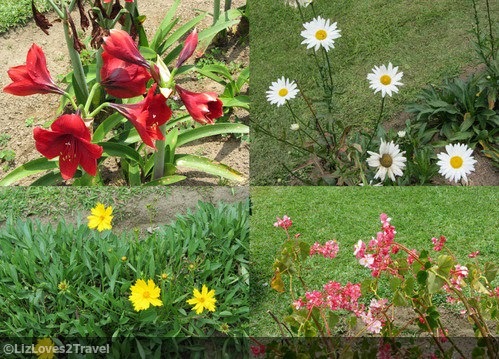 Because of the good climate and fertile soil, you'll find pretty flowers everywhere.I love them flowers! 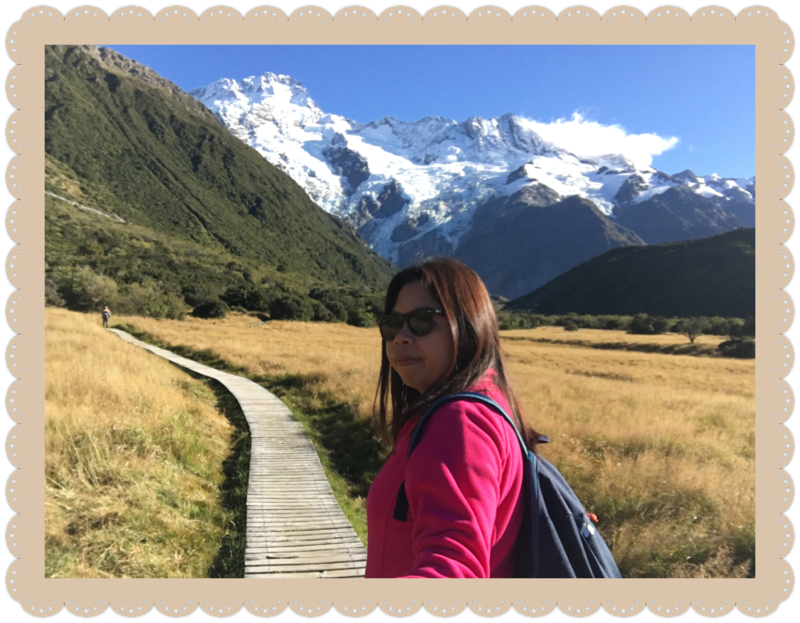 It was so nice walking around here, just seeing and stopping by every time you want to appreciate the beauty of nature. It is absolutely one of my favorite places in Bali. Looking at the map for another place we can go to, this came up to be the next easiest one. 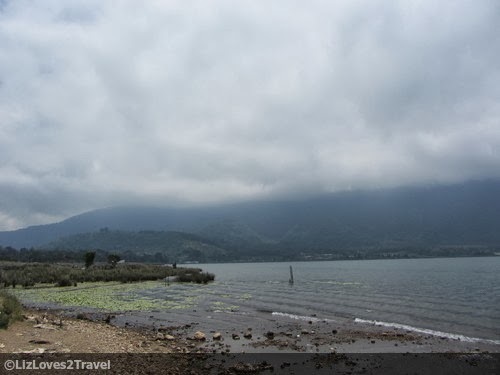 It is located in Tabanan, about 8 kms from Bedugul. These verdant rice terraces are nestled in the plateau of Mount Batukaru. We just stayed at the viewing point where the parking is. We did not enter the premises anymore. Nothing really special here since we have a lot more beautiful rice terraces in the Philippines. 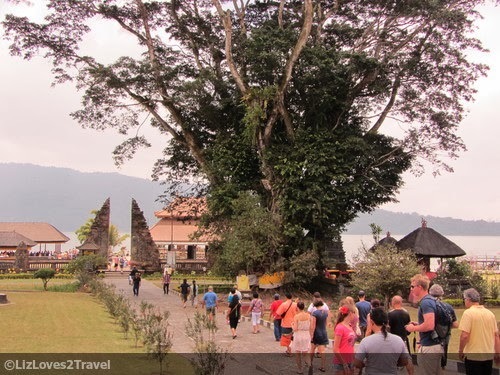 The entrance fee if you plan to tour intensively, is IDR 10,000. It will allow you to go hiking and explore the terraces. In our case, we were contented by just sitting there and appreciating the surroundings without sweating it out. We set off for another long drive from the hills. 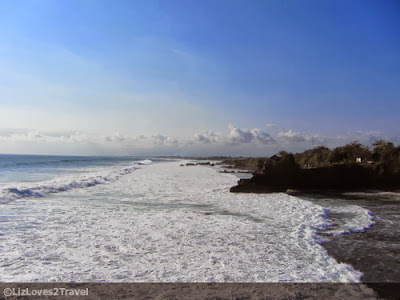 It is still a part of Tabanan but far off from Jatiluwih as it is in the coastal side. 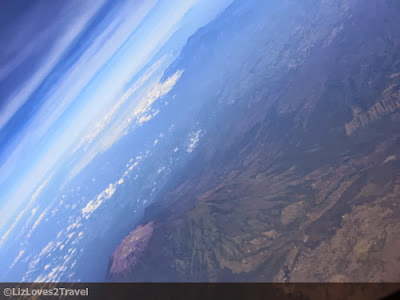 It was a slightly bumpy ride going down here. 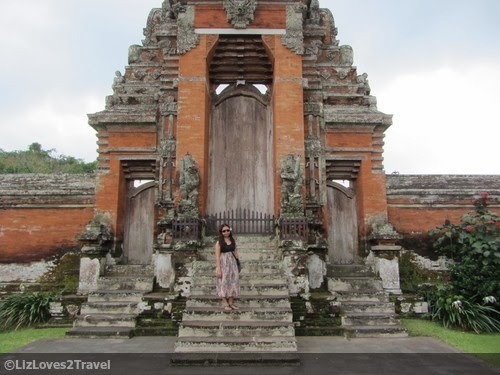 This was the most crowded temple I've ever been in Bali. It is very popular not only for the tourists but also for the locals. 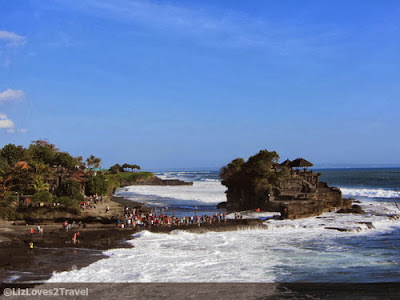 Tanah Lot, I believe is the most photographed temple in Bali. You will see it in postcards, in ads, everywhere. 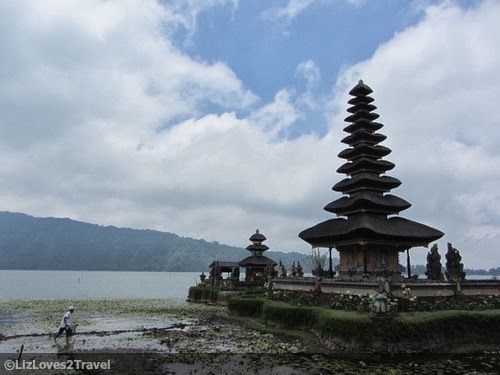 Even I, when I haven't been to Bali yet, the first thing that comes into my mind when people mention Bali is that temple in the rock by the sea. Yes, the temple is situated on a rock offshore. 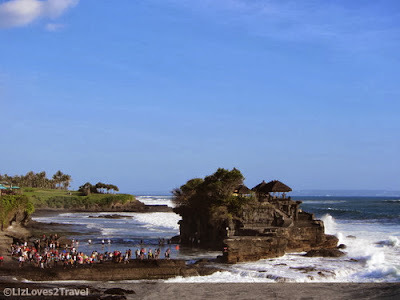 It is one of the seven sea temples built around the Balinese coast. This is a holy place for them to worship their sea gods. There are other sights to be seen in the temple complex. Aside from the stunning rock formations and the ocean view, other temples like Batu Bolong Temple, Batumejan Temple and Enjung Galuh Temple can be found when you walk eastward from Tanah Lot. 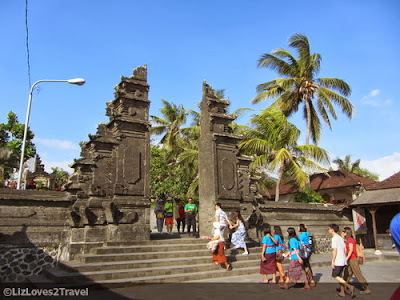 When low tide, visitors can walk and come close to the temple. You can walk to the side and eventually climb up but then I don't think there's a good view up there. It's still better to just stay at the shore. The rock is also inhabited by sea snakes which are venomous. Yaiiiks. The Balinese believe that these snakes are guarding the temple from evil spirits. The best time to go here is pre-sunset and then wait for it. It is most beautiful when the sun sets. I guess we came too early that we already felt bored after waiting for about an hour. We left even before it sets. And just when our car started to leave, the sky slowly turned into orange. Oh crap. It's another long walk back to the shore so yeah, we left just like that. Another stunning sunset missed. On my tenth day in Indonesia, it was time to leave. There are still so many things to do and places to see but I had to go home already. It has come to an end. 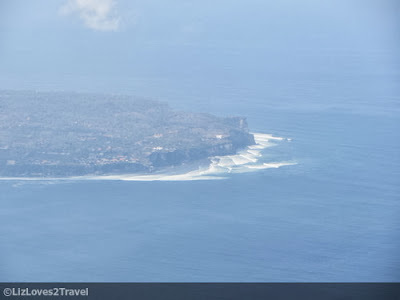 That was my last picture of Bali. The image of the sublime island being kissed by the hostile Indian Ocean. 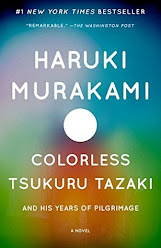 It was a mixed-feeling of happiness and sadness. Happy because I've seen and experienced its splendor. Sad because it was over and I want more. This by far is my most favorite solo travel experience. Everything had been so smooth. I was more relaxed. I had plenty of time and not rushed. I had no fixed plans. I did not overspend. I met wonderful people. Things fell into place naturally. The amazing sights became just a bonus. It was more of the experience that I really treasured on this trip. It was living in the moment at its finest. 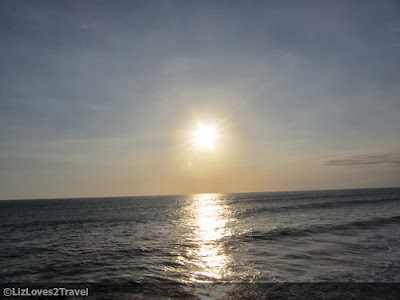 This ends my Bali travel series. Bali has lots of temple too like Bangkok and Phom Phen.